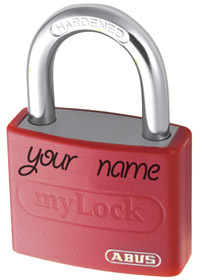 This means that when you buy two or more padlocks from the keyed alike range they will all be operated by the same key. Each padlock comes with two keys as standard. Note that with this product it keyed alike across all of its colours. 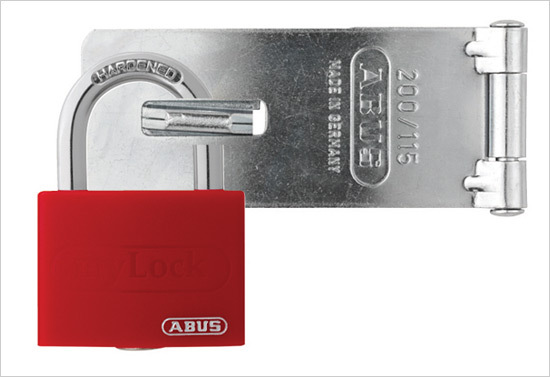 If you purchase a red, blue and yellow lock they will all operate from the same key. If you require a specific keyed alike padlock matched to a code or a number of sets of keyed alike padlocks please contact us. 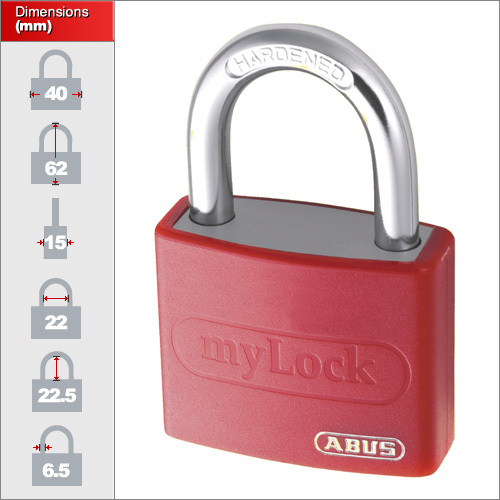 Although this padlock weighs in at a mere 99 grams it is by no means a low security product. A hardened steel shackle makes it highly resistant to sawing and the double bolted mechanism prevents force attacks by pulling. It is available in six different colours and the vinyl body allows it to be customised with a permanent marker pen. We only have one size in this model but they are available in six colours. Please use the drop down menu above to select between colours. View the exact dimensions of this size by clicking here. This lock is ideal as a safety lock to secure switching gear or where you need to personalise a lock for identification or to provent theft if loaning within a gym or sports centre. 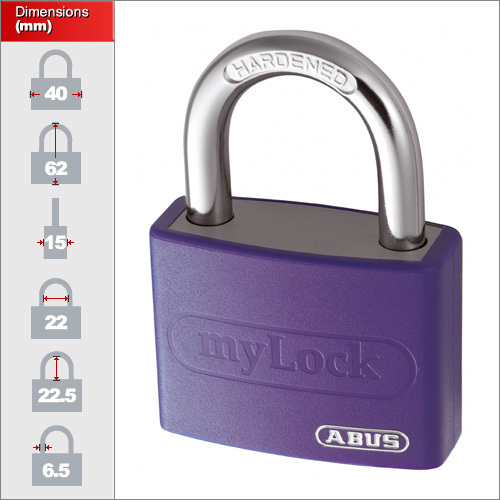 The precision 5 pin tumbler with self-locking mechanism makes the padlock highly secure against picking, while the hardened steel shackle and double bolted case help protect the lock from force attacks. Both the stainless internal machanism and the external brass body also ensure the lock will function well outdoors. 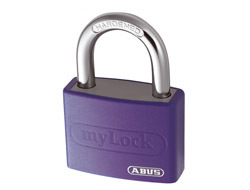 You can find out more about ABUS padlocks here.